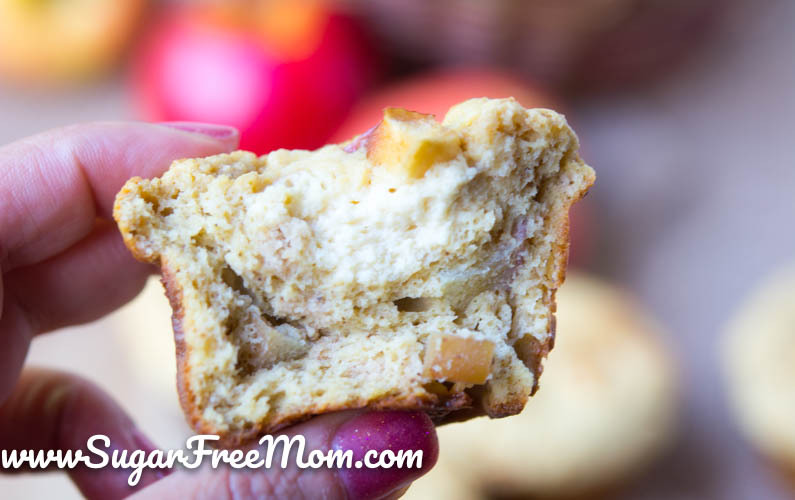 These Amazing Low Carb Apple Cream Cheese Muffins are heavenly for breakfast! 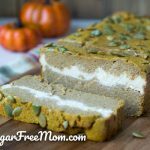 Gluten Free, Almond Flour Free, Grain Free, Low Carb and No Added Sugar! Thank you to Horizon organic for sponsoring todays post. Summer is ending and if you’re a mom school is beginning again for the family. 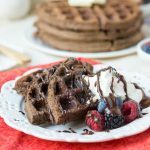 Breakfast options are needed for busy work and school mornings. Making ahead breakfast is always a good idea to make smooth and less stressful week. 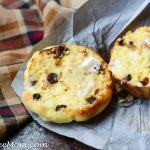 These scrumptious muffins are a family favorite in my house and ones even the non low carb and sugar free friends and family will devour! Some of you are most likely ready for all things Pumpkin once the end of August nears and September begins, but I enjoy creating special recipes using beautiful luscious apples during the Fall. 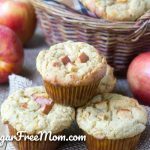 Now it’s not say to get simply sub out the apples here and make these with some mashed pumpkin, you certainly could, but if you have a tradition to go apple picking in the fall then these muffins will be right up your alley. 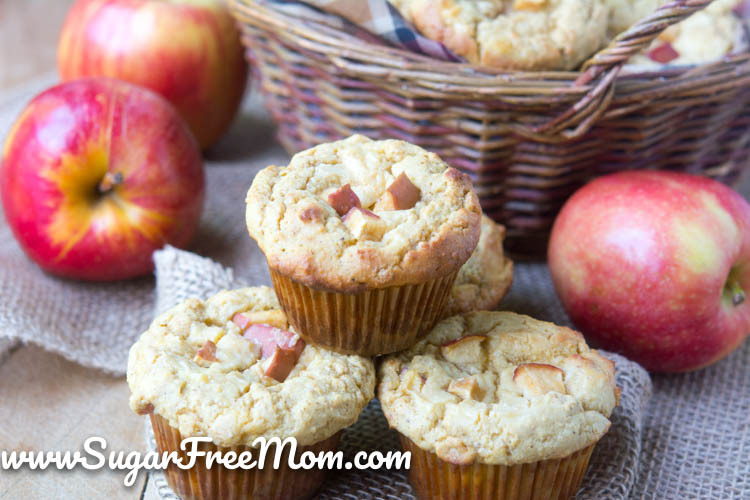 Regardless of your choice of pumpkin or apple, these muffins are sure to please everyone! 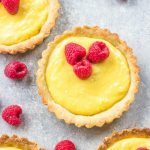 So perfect in texture and one bite of that cream cheese in the center makes you feel like your almost eating dessert for breakfast! Almost….but that never stops me anyway! 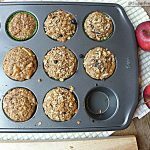 I’ve adapted this Apple Muffin recipe to make these low carb, gluten free and tree nut free because my youngest has a tree nut allergy. My Go-To flour to use is Coconut. I realize some with tree nut allergies are also allergic to coconut but I want to set the record straight, coconut is NOT a nut, regardless if the FDA is saying it is. It’s actually considered a fruit with a pit, like a peach. 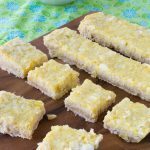 Obviously if you or someone you love has a coconut allergy, don’t use this recipe. But for my son, he is able to enjoy anything I make using coconut products and these muffins were a hit for all my family! 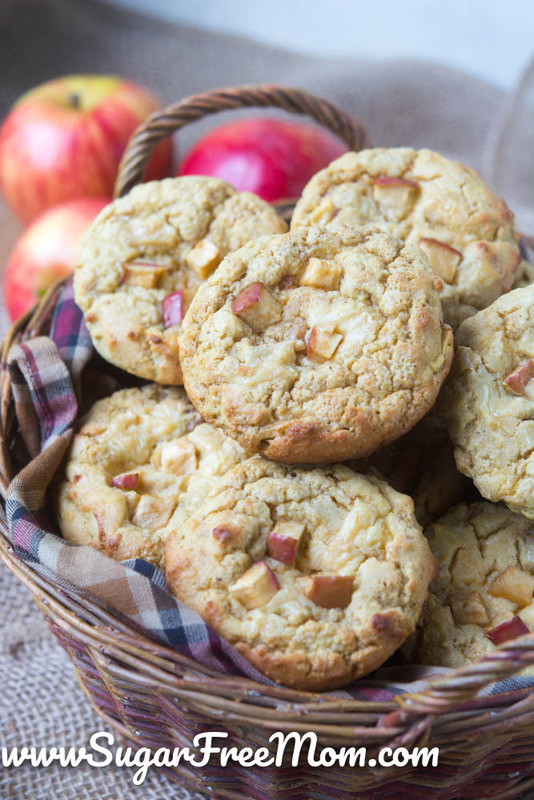 Little sweet chunks of apple, creamy sweet cream cheese, you might not be able to have just one! 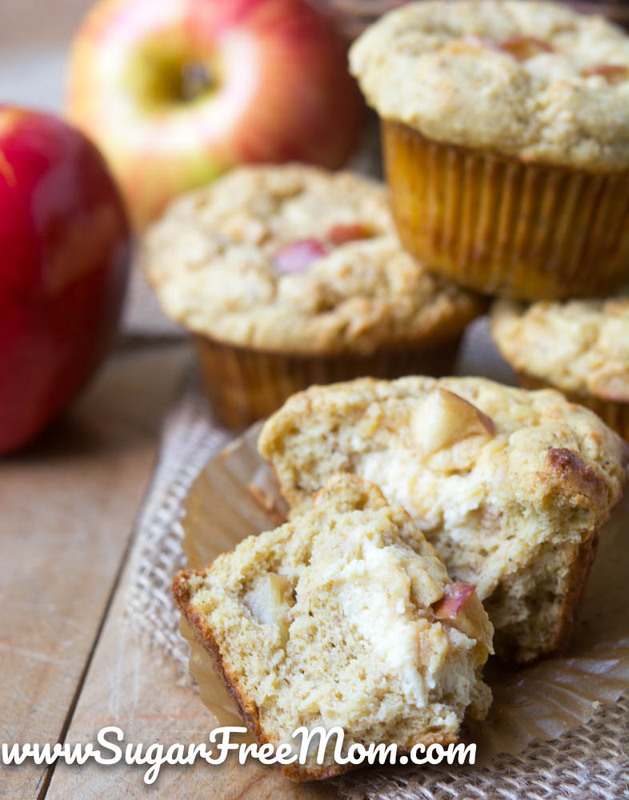 Interested in more yummy Apple Recipes? 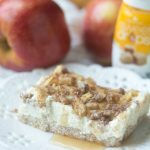 Check out my Low Carb Apple Danish, Apple Dump Cake, and my Low Carb Caramel Cheesecake Stuffed Apples! 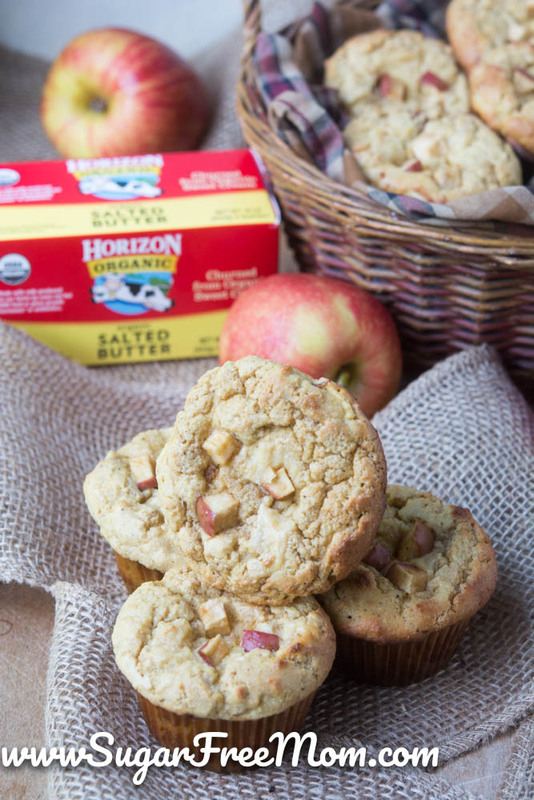 Check out more Easy Recipes with Horizon products! Follow Horizon on Instagram, Twitter, Facebook and Pinterest! You can also check out this video promoting #allforweird! You can subscribe to their newsletter here! Place the butter, sour cream and vanilla extract into a stand mixer and mix until smooth. Whisk the next 7 dry ingredients together then add them to the mixer. Blend on low until incorporated. Add in 1 egg at a time to the mixer until well absorbed. Pour in the heavy cream until well absorbed. Set aside batter while making filling. Clean your mixer then add the cream cheese, egg yolk, vanilla and stevia. Mix on high until smooth. Set aside. Use cupcake liners or grease well a 12 capacity muffin pan. Fill each cup half way with batter. Evenly scoop cream cheese over each muffin. Finish with remaining batter over the cream cheese on each muffin. Top with a few pieces of apple if desired. Sprinkle some Sukrin Brown Sugar Sub over the top if desired. Bake for 25 minutes or until a toothpick comes out clean. Best at room temperature or chilled. Keep refrigerated if making ahead for breakfast. I love muffins and with apples that just makes them perfect. I think they look delicious with all those little bits of apple. Can’t wait to make them. I think my kids will like them too. 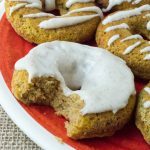 Can I replace coconut flour with sesame flour to lower the fat content? Thanks so much! Maybe? I’ve not tested that out so I can’t say for sure. 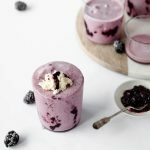 anything else that can be subbed for the protein powder? I decided to try this recipe after realizing I had most of these ingredient in my cabinet. 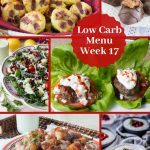 These cookies are absolutely delicious and you wouldn’t even guess that their low carb! Thanks for a great recipe!